It’s 1914, and the Great War is just starting. Sixteen-year-old Sydney is caught up in the excitement of the army recruitment campaigns and the bravado of the men leaving to fight. Bursting with enthusiasm, he runs away to join up. But Sydney soon finds himself a long way from home, in a frontline trench where reality – and the rats – begin to bite. 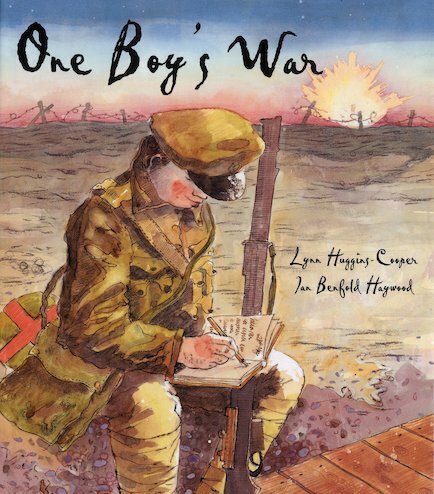 Told through Sydney’s journal entries and letters home, this poignant picture book is his honest account of disillusionment, degradation, life and death in the trenches of World War One.